Steve Bedard has been involved with over the last 35 years. This was a wonderfully challenging project. The customer needed a full restoration of a two story Georgian as well as additional space for a master bedroom suite. With the addition of a two story ell, multi-bay garage, and newly constructed barn, this elegant home surely reflects the New England building concept "big house, little house, back house, barn". In preparation for its 100 year Anniversary in 2014, the Castle in the Clouds (Lucknow) has chosen Bedard Preservation as the General Contractor for the restoration and repair for this unique state treasure. The restoration and preservation work for this project will follow the Secretary of Interior's Guidelines for Historic Restoration. Originally built in 1701 in Rollinsford, New Hampshire, this building was moved to Dover, Massachusetts in 1936. Unfortunately in 2001 there was a chance of it being demolished, consequently the Rollinsford, NH Historical Society took on the challenge of "saving" it. 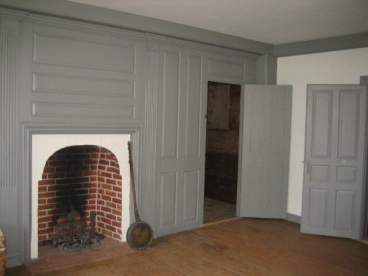 As stated on the Museum's website "During the months of September and October of 2002 historic building specialist Stephen Bedard worked with his crew in Dover, Massachusetts to dismantle the Wentworth house and return it to its native soil in Rollinsford, New Hampshire. 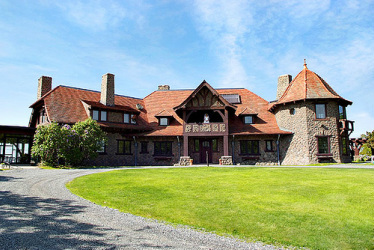 Steve was hired to take the building apart, piece by piece and transport it back to New Hampshire, where it has been reassembled within sight of its original lot. The building was restored according to the Secretary of Interior's Guidelines for Historic Restoration." This 11,000 square foot private home was a labor of love for both the owner and Steve Bedard. It is comprised of three separate post and beam structures endangered of being lost and consequently needed to be removed from their original sites. They now house a private museum, art studio, two car garage and five bedroom residence. Working with a local development firm and its team of engineers, Bedard Preservation dismantled and reconstructed this 18th century post and beam New England barn to give the "old barn", which was condemned, a new lease on life on the same site - housing new bank offices. It is an wonderful example of adaptive barn use, showing how a post and beam structure can be put to a new, modern use in a cost effective and energy efficient manner. 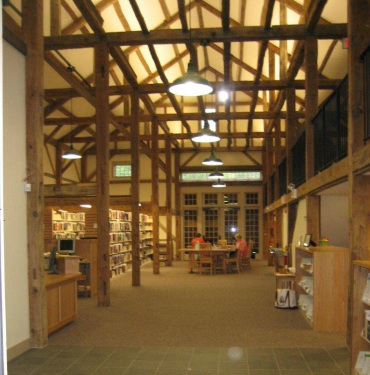 The "new" Gilmanton Year-Round Library is housed in an antique post and beam barn which was previously located in North Hampton, NH and was in jeopardy of being lost. Often times the preservation of barns is more difficult because of their size and by virtue of being categorized as farm buildings. This project has served as a model and inspiration for others contemplating similar projects. Steve Bedard was the volunteer general contractor for this entire project.